Home → blog → Help Keep Schwalm Whitework Alive! Many blog readers thank me for my inspirational and informative work. Because I brought a little bit of pleasure into their life (such as with the anticipated opening of the next “door” of my Advent Calendar) or deepened their knowledge of the Schwalm and Schwalm-specific embroidery, some of them have asked to give a donation so that I can continue my work. I also have readers who are only interested in the costume and custom articles; they absolutely do not need embroidery instructions. And they, too, have wanted to show their appreciation for my work with a donation. I have always declined such requests. But now I think why not? The upkeep of such a worthwhile blog is not only very labor intensive but also expensive. I have to pay my graphic designer (to provide beautiful and unique designs), my copyeditor (to clarify my English explanations), and my webmaster, who not only keeps my website up to date but also implements all my ideas such as the blog archive with thumbnails or the thumbnail overview with the free designs. All this makes using my blog information much easier and more enjoyable for you, my readers. Although my blog has many visitors, only a small percentage of those become customers. The majority of my blog readers use it for inspiration, information, and instructions for free. And it eventually happens that many of my customers have all, or enough, of my products. However, it is through the selling of my books and my other items that I cover all blog-related expenses. I could monetize my blog with advertisements from companies looking for people matching my “reader profile,” but I have refused this option from the beginning – I do not want advertising. So, humbly I would like to make a request. 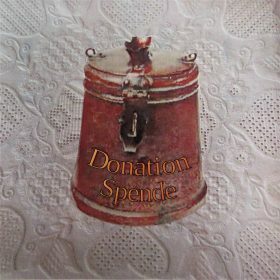 If you find the information on my website interesting, entertaining, or educational; if you appreciate the free designs and projects; if you would like to see this regional needleart stay alive, won’t you please consider supporting my blog through a donation? Here is how it works. The donation button lets you make a one-time gift through PayPal using your credit card or bank account. If you’ve liked a description, a pattern, or you just want to help keep the work going, using that button to contribute the amount of your choice will go towards maintaining and improving my blog publications.